Blurb: Georg Psaroudakis flexes his musical muscles and shells out an EP revealing different variations of one of his project’s most successful recent releases. Throughout the years, Georg Psaroudakis has been creating music that transcends styles and captivates the attention of the listener, satisfying the palette for the dark and progressive. Since the self-released EP In the Lag of Time that propelled CygnosiC into the musical spotlight, Psaroudakis’ musical inspirations have continued to transform and evolve while maintaining that same hard and heavy energy that CygnosiC’s audience has come to appreciate. Psaroudakis is not new to the world of collaborations either – in the past and recently, he has joined forces with other artists for remixes, compilations, and reworks such as Detroit Diesel, Terrolokaust, Grendel, ΔAIMON, Suicide Commando, C-Lekktor, Freakangel, and a myriad of others. Once again, he comes back around with the digital EP The Key(S), which includes a limited 10-inch vinyl version and features the original “Black” edit from the CygnosiC album, a newly-released “Grey” version, and the “White” version from the CD2/LP2, as well as an intelligently reworked version by Rotersand. 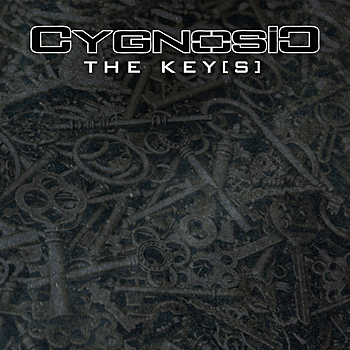 CygnosiC is known for skilfully fusing a variety of hard-hitting beats and droning bass lines with ominous and melodic electro/metal soundscapes, and Psaroudakis once again delivers as he showcases the best versions of “The Key” together in this EP. 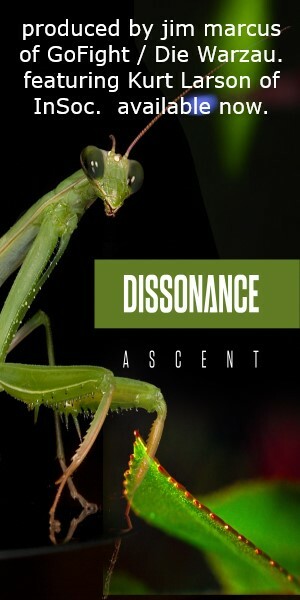 One can appreciate the contrast between each track, with the “Black” version’s hammering beats and synth riffs and Psaroudakis’ haunting voice roaring in howling confluence throughout the chaotically organized and complex musical arrangements. The transposed “White” version also commands that same gripping energy, but with supporting firepower from background guitar riffs. Both tracks do a very good job in marrying all of the various acoustic and electronic elements of the versions together in balanced harmony. Psaroudakis then shifts gears in style with the new release of the “Grey” version, which works a more club-friendly, danceable sound, showing his versatility and allowing listeners to experience the artistic concept with a different, dance floor killing approach. The Rotersand rework was also masterfully engineered, and the pulsing laser-like bass lines and synths give the song that distinct dance floor rush that Rotersand’s following has come to expect and love. The track has some slow, ominous segments that act as a powerful platform for Psadoudakis’ main verses, giving them more feeling and substance. The video for the song, which can be found on YouTube or on the project’s website, complements the feeling of Psaroudakis’ lyrics with a barrage of well sequenced poetic, symbolic imagery and really highlights the production value and effort that was put into the making and promotion of the EP. The Key(S) is a good acquisition for avid CygnosiC fans and music collectors and gives some interesting insight into the creative direction that Georg Psaroudakis is taking with his musical projects.